100 synthwave inspired patches for u‑he Diva. 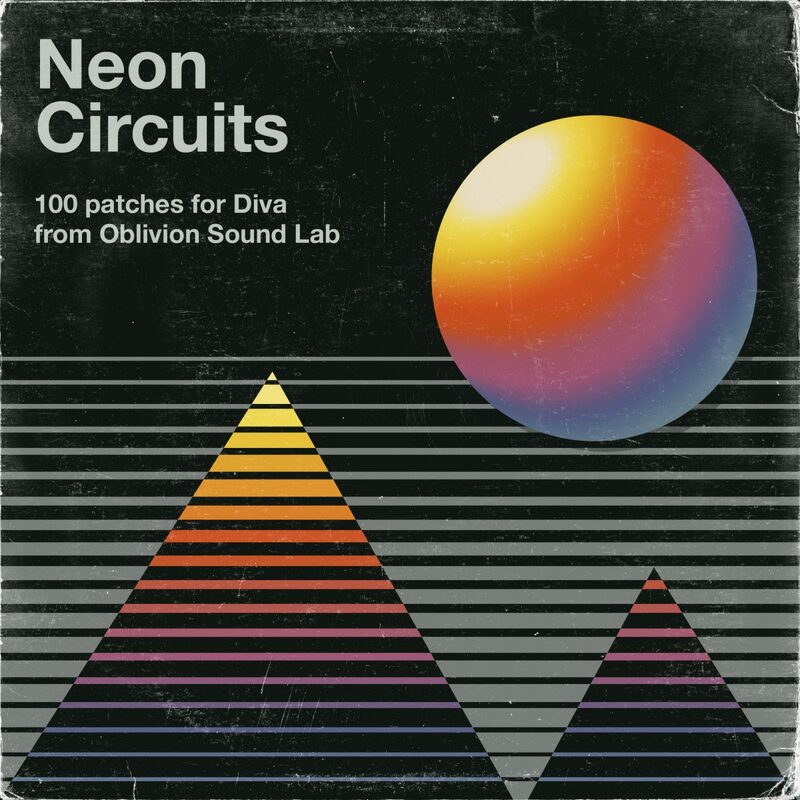 Neon Circuits is the sequel to our popular Diva Oblivion soundset, and features 100 handcrafted patches perfect for synthwave producers or anyone who needs to add a vintage ’80s flavour to their sonic palette. For this bank we have drawn inspiration from synth pioneers such as Tangerine Dream, John Carpenter, Mark Isham and Harold Faltermeyer, as well as contemporary synthwave practitioners, to evoke the nostalgic analogue sound of ’80s synth-pop and and film scores. u-he Diva is required to open this soundset.